Prince Edward Island announced current invitations to immigration applicants in a draw conducted on March 21. 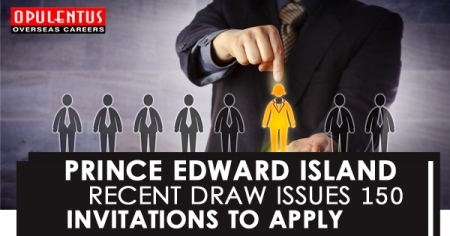 Prince Edward Island, or P.E.I, conducts monthly draws for immigration applicants who have provided an Expression of Interest to its program of the immigrant nominee, the P.E.I Provincial Nominee Program. Prince Edward Island is one of the 11 provinces and territories of Canada that take part in Provincial Nominee Programs of Canada, which grants them nominate a fixed number of immigration applicants for permanent residence to Canada for each year. A sum of 150 invitations was announced to candidates in PEI’s Express Entry, Business Impact and Labour Impact immigration categories in the draw conducted on Mar 21, raising the whole number of invitations announced this year by the Prince Edward Island PNP to 440. The 131 Labour Impact and Express Entry applicants who got an invitation in the recent draw can now appeal to provincial nominee program of the PEI, the Prince Edward Island PNP, for a nomination for Canadian PR. The province did not give these invitations breakdown. The 19 entrepreneur applicants invited by the Stream category of Business Impact: Work Permit can now appeal to the Prince Edward Island PNP for a support letter for a temporary work permit. Express Entry applicants who would like to be counted for a provincial nomination from Prince Edward Island should first complete a unique Expression of Interest (E.O.I) profile with the Prince Edward Island PNP. These profiles are provided an E.O.I score out of 100 depends on factors such as educational background, age, work experience and knowledge in English or French. The top-ranked applicants are invited to appeal for a provincial nomination by monthly draws. Express Entry applicants who get a provincial nomination are given an extra 600 points via their Express Entry ranking score. P.E.I’s Labour Impact Category is not associated with the Federal Express Entry system and is separated into 03 E.O.I-based streams — Skilled Workers (in Prince Edward Island and outside Canada), Critical Workers and International Graduates. Applicants for these streams need to be working in P.E.I or have a qualified long-term, full-time job offer from an organization in the province, with other criteria. Prince Edward Island’s Business Impact: Stream of Work Permit is for qualified international entrepreneurs with business ownership or qualified management experience who would want to invest in and operate a business in PEI. The stream of Work Permit also runs on an E.O.I basis and the least ranked applicant in the Mar 21 draw had a score 110.